As far as internet services go, Amazon Prime is up there when it comes to reasonably priced conveniences. Even when I was a struggling marketing assistant and single mom, I ponied up the $80 yearly fee to keep the Santa myth alive as well as not have to arrange sitters for precious weekends leading up to Christmas to try to bag toys that may or may not have been in stock. Even before the streaming content and free book lending, it was well worth it to have necessities show up to my door, for free, within 48 hours or less, without having to bundle the kids into the car after getting off the train from Manhattan at 8PM. Amazon Prime saved my life. The quick-shipping service would be based on Google’s behind-the-scenes system that allows shoppers to figure out whether nearby stores have a product in stock and whether they can get that product shipped to them within a day. 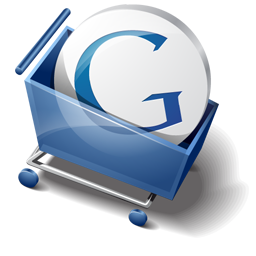 When shoppers place an order on participating retailers’ sites, Google’s system could kick in to offer them the option of same-day or next-day delivery, said a person familiar with the matter. Whether or not the Prime-esque Google service kicks off as planned, the buzz can only work out well for the consumer. Would you shop more online if shipping times were cut drastically?